The theme of February is being here and being here in the body. The energy from the Full Moon in Leo has expanded us to levels of light we’ve never experienced in body before. In order to integrate the higher energies we need to be in the body. This way we can ground the higher dimensions into Gaia while simultaneously preparing our bodies for the next waves of light that will be hitting our planet in the coming months. This is the time to develop and use your grounding practices and tools, to be in nature, to unplug, to eat lighter foods, to hydrate, to rest, and to meditate. This month can either drain you or prepare you- the choice is yours. You have the tools and knowledge you need to make this planet feel like home by making your body feel like home. Focus on building a solid foundation, and most importantly, trust your body and whatever healing crisis or changes you may be faced with. Everything that is happening within is here to put you in your body and make it a priority. We are bringing heaven to Earth, we are making it physical, so love your body and welcome it home. Honor it and allow it to take the lead. Listen to what it’s telling you and how it feels. The amount of nurturing you give your body will reflect in the world around you. By plugging into the planet at this time you will help create a smoother transition into the Fifth Dimension as you navigate these energies and embody the light that shines within. A year to this date I did an Energy Update about the heart and how it relates to Ascension. Now we are understanding its exact role much deeper and have a clear idea of what light workers need to do for embodiment and to shift the collective into the highest possible timeline. Trust your abilities. Trust your visualization. Energy work is focused intention, breath, and visualization. Now more than ever, trust what you’re seeing in order to see more and trust what you’re feeling in order to guide you to what you need to personally address within yourself. Now that you trust yourself, work from your heart space. Drop into your heart by setting the intention and then visualizing it. Now breathe into it and expand your heart space. From here, visualize and fill yourself with unconditional love, peace, joy, harmony, and a planetary shift into the highest timeline for all of humanity. Really get in touch with oneness and shifting the ENTIRE planet. This cannot be done if you’re carrying bitterness, judgment, resentment, and jealousy in your heart space- it has to come from compassion for all beings. Everyone gets to shift. Even if you feel that not everyone deserves to because they didn’t do the work, that’s something you need to feel and work through before you take on this type of anchoring. If you still have judgments to work out, honor them and work them out. You’ll find that compassion coupled with a peaceful, smooth global shift will easily override resistance to this work. And if you have resistance, that’s okay too. It is imperative that you clear and open your own heart before taking on anything else. How do you open your own heart? By feeling and unconditionally loving every single emotion that comes up for you. By fully embracing yourself and knowing that you are worthy of the role you were born to play. When you open your own heart, you’re opening the hearts of all and therefore doing this same light work in a different way. So remember, drop into your heart space and visualize peace for all beings, unconditional love for all beings, and ascension for all beings. With deep visualization and an open heart, we are creating the heaven on Earth we’ve been talking about years. Now is the time to contribute, and the more of us who do it, the quicker the planet will respond. We are the key to acceleration and determining whether we want a smooth transition or a catastrophic one. It is up to us. We are the heroes we’ve been waiting for. We are the creators of our own timelines. Heart- Are you living from your heart? Do your actions align with how you feel? Do your acquaintances align with your spiritual path? Are they helping you grow or telling you to stop until they catch up? Do you feel free to fully express yourself? These are the questions you need to meditate on as you unlock your heart energy and light the flame within. The answers you get might bring you to an uncomfortable level of awareness- work through this by loving yourself unconditionally and allowing yourself to question your current path and the things you’re attached to. Do you know what your attachments are and do you refuse to let go? Meet them, look them down and acknowledge them. Bringing consciousness to them will allow them to unravel and detach from your energy field. The elevator in this dimension is going to the next floor- who gets off the elevator? That is for you to decide. When you know what floor you are going to, you get off by yourself no matter what floor everyone else is stopping at. Be comfortable with getting off on your own floor, letting the doors close behind you and moving forward. In our oneness we are all on solo missions until we merge. Honor where your mission takes you and where it stops, changes, or elevates. What if the collective is in the elevator? Some people in the elevator are in fear due to external events and aren’t ready to go to the roof of the building. Maybe they have some “stuff” they forgot on the ground floor. The elevator has to go as high as the highest number selected before it drops down again. Get off on the highest floor you selected at the time, and let it drop back down for those who want to go back down. And when it comes back up, you get on and continue. You are free to ascend. This is your soul’s journey. It already knows where it is going. It has done this before. Now you are witnessing its ascension- that is why you can trust this journey- you already mapped it out. Are you ready to go to the next floor? Yes, get in the elevator- watch the buttons light up. We’ll all meet at the top when we get there. All that matters is that you get in the elevator. Love your heart, be true to yourself, feel your emotions, and surrender to the light. The great energetic shift of our time is happening and we are ready to welcome these energies by being the best version of ourselves. We recently passed through a huge ascension threshold during the last week of September, and these energies will continue to arrive and support us in the ascension process. The old matrix paradigm is crumbling and we are welcoming the New Earth paradigm. We’re not controlling the shift, or making it happen, our job is to receive it by healing and clearing our bodies. Our job is to fill our bodies with unconditional love in order to be a match to heart-centered consciousness, which is the new reality we are entering. This is the time to open your heart, forgive, pull away from low frequency people and places, integrate the ego, and radiate from your heart. Those closed off to these new supportive energies will suffer at first because they will have to have to be broken open in order to fully open their hearts and receive this new paradigm that is so unfamiliar to them. They will need to awaken and quickly adjust to these new energies and begin to process their new emotions and reality quickly. They will need to learn how to unconditionally love themselves through this process. This is because the shift is happening through the heart- it is the portal to ascension. Those of us who’ve already opened our hearts and live in the vibration of love are ready to thrive, rise up, claim our gifts and energy upgrades, and be who we really are, which is loving, crystalline light beings. We are lit up souls disguised as humans. We don’t have to do things the hard way and get broken open to see this- we already have in this lifetime, all past incarnations have led up to anchoring this timeline- this is the gift of awakening. Now we are clearing the path for the collective by surrendering to love and thriving. Love is the way, it’s always been, but now is the time to truly trust this. The way to ascension is through the heart. The heart is the bridge from the higher chakras to the lower chakras- it is the bridge to everything. The heart is the generator of all; everything comes from the heart. What does the human heart do in the human body? It pumps life into everything, it is the core. From esoteric terminology it is the symbol of love. So love is the generator of all and the heart is the portal. The heart is how you access infinity. When you hear the phrase “a return to love,” it is referring to a return to the heart. We’ve tried going through our heads, thoughts, logic, and the third eye. We’ve looked outward and inward, but never solely through the heart. Simply put, the heart is love. The heart is true protection and everything else is mental tricks. Don’t get distracted or caught up in anything that isn’t LOVE. Everything that isn’t love is breaking away from us, so let it fall. Be the example of love. Being present with yourself and loving yourself is the example you are setting for the collective. When you love yourself, you activate your heart and the hearts of everyone around you. Take a deep breath, look in the mirror, and say “I love you” to yourself. Every single “I love you” you send to yourself activates you. You don’t have to look to an external source of activation. Remember, the way is through your heart. Right now we can wrap up lessons that are on repeat by surrendering to the force of love. If something negative happens to you, love yourself even more. If you feel fear, shame, regret, or anger- love yourself more. Go inside and meditate on self-love. Show your heart how grateful you are for it. Everyday put your hand on your heart and say “I love you heart.” We are alchemists, and we are transmuting every emotion within us by using the force of love- this is the gold that we create in ourselves. Feed yourself with only love. Do this emotionally with positive thoughts and affirmations, and saying I love you to yourself. Do this physically with your food choices, exercise, and spending time in nature. Choose your words wisely, even our words carry their own powerful vibrations. Choose high vibration words via your own self-talk and mantras. Avoid low-vibration places like bars. This is being true to yourself by only doing things you resonate with, rather than betraying your comfort and intuition. Ask your Higher Self for guidance with this. Tune in and see what feels good and true to yourself. Eliminate any form of toxicity in your life. This can mean many different things to each of us, but includes people, places, and things. Step away from the illusion of conflict- on the news via the mainstream media (fear programming, separation, terrorism, race wars), and in friendships, relationships, and all social interactions. Communicate your needs clearly with people in order to avoid conflict or even the perception of conflict. We have to be present in order to feel the shift. Being present with the emotional body is how you will receive the energy upgrades you need and desire. It’s how you match yourself to your ascension timeline because you will know what parts of you need love, healing, and integration. I’m talking about discomfort. Allow it and feel it deeply. In order to transmute and integrate your emotions, you have to feel them first. You have to let it burn. When something comes up, you cannot numb it. The denial, no matter how deeply buried, will resurrect itself as a shadow aspect. You have to pay attention and show all of your parts love. Bring them up to the surface to be healed and transformed. Pay attention to escapism and what you do to escape feeling your emotions. Drugs, alcohol, and constantly being in an altered state and confusing that with awareness and spirituality is not the way to go. Even rushing around and doing a bunch of things is a way to avoid being present with your emotions. Loving what arises within you and not judging an emotion as negative is how you stay present while working through and healing emotional issues. It doesn’t feel good. Its not supposed to. So, put your hand on your heart and love the one who is angry, love the one who doesn’t want to feel, and love the one who wants to be numb. Negative emotions cannot survive in the vibration of love. This is what it means to unconditionally love your self. Being present with what you are feeling at this exact moment is your portal home. What you are feeling, is what is asking to be healed. When you pay attention to your feelings, you bring consciousness to them and begin the integration process. Integrating is not judging and sending these emotions away, rather, it’s saying I see you, I love you, and I welcome you home to be part of my soul. So much peace is ready to be accessed if you just stop, tune in, and surrender. Right now, surrender is the fastest way to inner peace. And trust is at the core of surrender. Trust that your Higher Self has brought you exactly where you need to be and is allowing you to feel the emotions you need to feel for your highest and quickest way to enlightenment. Everyday we are being shown a playing card, how are you going to react to it? We are moving through lessons faster and faster and surrendering is the fastest way to evolution. We’ve done the work, now we need to slow down and integrate it. Surrender to the big picture of your life. Start to see the bigger plan of your life unfold from a place of non-attachment and welcome it. Allow the universe to fill in all the details. Worry is the first way we become ungrounded. Stop worrying about what’s going to happen next in your life or on this planet. We have to show the universe we trust it and we’re ready for what’s next, even if we don’t know what that is. We’re guided in every way and the universe is taking care of all the rest. The only thing you have to do is love yourself harder and more sincere than ever before. Do your part by anchoring blessings. Send out blessings wherever you go. The vibrations of our words are now being heard louder than ever before, so bless everyone and everything around you. I CHOOSE LOVE. THAT I AM NOW. AND SO IT IS. “Be Here Now.” We see this phrase everywhere, but are we actually embodying it? Are we consciously present and in our experience here on Earth? Often the most simple of phrases hold the biggest treasures. Now, more than ever, we need to be here now. We are in the midst of a global ascension and are experiencing a multitude of energetic shifts both off and on our planet. Being anchored into the Earth allows you to go with the flow of these new planetary changes while remaining safe and secure in your body. As a Quantum Sphere Healer and energy practitioner, I've observed that the one thing every client of mine has in common is that they are not grounded into the Earth and fully occupying their bodies. When you are ungrounded, life becomes chaotic and confusing. To be out of body is to be out of control. How can you focus when you’re not actually here? My clients suffering from anxiety, nervousness, negative thoughts, paranoia, uncertainty, rage, insecurity, lethargy, exhaustion, and full body illnesses all have one thing in common: they are out of their bodies, and when you leave your body, you invite negative and heavy energies in. Moreover, clients holding trauma in their root chakra are by far the most ungrounded. This is because our grounding cord is located at the tailbone, and our energy streams from the crown chakra down through the root chakra before entering the grounding cord and making its way down to the core of the Earth. Clients with blocks in their root chakra lack the space to allow a healthy flow of energy to connect them from their grounding cord to the planet and release their trauma into the Earth. They go through life like a balloon floating around filled with toxic energies just waiting to pop! Not only is this a dangerous way to live, its not actually living. As children of the Earth, we are made to thrive and live happy and fulfilled lives here. We incarnated into this planet to have a human experience, and the only way to do so is to actually live in the human body you were given. 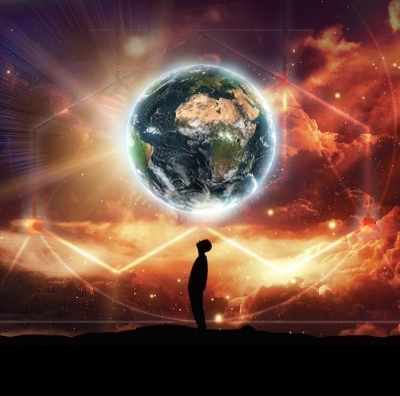 The first thing I do at the start of a Quantum Sphere Healing session is ground the client to the center of the Earth and connect them to the unconditional love of Mother Earth. Their heavy energy and toxins are dumped and recycled into the planet and a stream of healing light is sent up through the grounding cord into the client’s energetic body. The client immediately feels a calming, loving sensation of safety and security. This is how it truly feels to be present and in your body. The benefits of being grounded include being in touch with your physical and emotional body sensations, mental clarity, immunity from illness and disease, calmness and stillness, patience, relaxation, focus, self-trust, feeling safe in your body, and an overall feeling of inner peace. More importantly, grounding is how you make sure that all the self-work and healing work you do actually sticks. According to Shaman and Quantum Practitioner Carla Fox, “All of our energetic healings, positive shifts and spiritual insights are not permanently imprinted into our cellular memory and energetic field unless they are grounded through us and anchored firmly into the Earth. Otherwise, they are just temporary and will gradually fade away.” It is one thing to absorb information intellectually, but to truly experience healing and spirituality, your body and energy field need to relate those experiences to each other in order to make the corresponding shift. Yes, we are made of stars, but we are also made of the elements of the Earth and have a deep connection with the soul of our Earth Mother. We are, after all, in her womb. Any activity that has your feet planted firmly to the ground will help eliminate energetic toxins. Walking barefoot on the ground will give you direct contact and allow you to feel the Earth’s magnetism. Plus, everyone feels better when they’re connected to nature. Take a walk on the beach or go hiking, allow yourself to feel how freeing it is to explore our beautiful planet and connect to her soul. This is a special exercise I practice twice a day and teach to my clients. I also do it anytime I feel overwhelmed and need a “reset” button. Stand up and take a deep breath. Close your eyes and imagine a golden ball of energy above your head. This is your personal energy source. Now imagine a stream of energy pouring down from the ball. Open the top of your head like a funnel and let this golden, healing light enter your body and slowly fill you. Go slow, taking deep breaths and allowing each breath to pull the stream down and fill every part of you. Let it stream down your tailbone and both of your feet, creating one solid stream of energy. Now send this energy down to the core of the Earth, or the heart of the Earth. Anchor yourself into Mother Earth’s unconditional, loving soul. Use your imagination and picture this in a way that’s most helpful to you. Sometimes I imagine dropping an anchor into the core of the Earth, or Mother Earth’s hand reaching up and holding my cord like a child holding on tight to a beloved balloon. Now hold this anchor in for at least a minute and allow yourself to truly feel the sensation of being grounded. I always send up our Mother’s unconditional loving light and feel it energize me and connect me to her soul. I thank her and send her gratitude and appreciation for being my home and for taking care of me and the rest of humanity. Don’t forget to get visual! Play around, change the colors, and make it feel as real to you as it actually is. The more you practice, the deeper the grounding sensation will feel. Overtime, you will be able to discern when you are grounded versus when you are out of body. Everyday we are blasted with varying frequencies and vibrations, both on and off our planet. The greatest gift you can give your body is to live in it- to be present in it and create a safe space for your soul to thrive. Be here now, it is as simple as going outside and feeling the Earth beneath your feet. Clear your mind and make yourself at home in your body, Mother Earth will do the rest.